Do you want to make your digital smartphone photos look like they were taken with a 50 year old camera that you found at a yard sale? Do you have an Android? Then you’re in luck, because Pixlr-o-matic is now available for the low price of free. It’s an image editing Photoshop Mobile - A Freeware Image Editor for Your Mobile Photoshop Mobile - A Freeware Image Editor for Your Mobile Read More app that can apply pre-determined filters to photos on your Android. Computers have been doing this for years, but it’s an up-and-coming feature on phones, which are generally limited to a few basic filters. My Thunderbolt’s stock camera app 5 Ways to Have Fun With Your Android Phone Camera 5 Ways to Have Fun With Your Android Phone Camera Most Android phones and tablets come with a small camera, often two. Typically, the in-built webcam is used for video chatting or video calls. If these are the only tasks you use the camera of... Read More , for example, has only thirteen available. Pixlr-o-matc, however, offers over eighty options. Better yet, you can mix-and-match. There are three categories (filter, lighting effect, and frame) and one from each can be added to a photo. Effects are implemented as a preview almost instantly, and can then be saved to your phone’s SD card 3 Cool Ways To Use SD Memory Cards 3 Cool Ways To Use SD Memory Cards SD memory cards are one of the most common forms of mobile storage, but they also tend to be very specific in their purpose. On their own, these cards tend to be less useful than... Read More or shared via instant messenger. Source images can be imported to Pixlr-o-matic from your gallery, or you can take a new snapshot with your camera. Though new for Android, iOS users have had access to the app since August. They apparently like it, as it has already earned 877 user ratings averaging out to four and a half stars. There are similar apps available for free on the Android market, such as FxCamera, but I don’t believe any of them offer as many options. 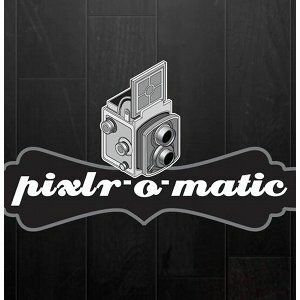 Pixlr-o-matic is developed by Autodesk, and is compatible with Android phones running version 2.1 and up.